The media streamer revolution has dramatically changed how we as consumers interact with our television sets. No longer are we simply content to just watch the programming large media companies provide. Consumers with the downturn of the economy are turning to media streamers like Roku or Apple TV for their television needs. Others have built their own media players or Home Theater Personal Computers (HTPC) using off the shelf PC hardware along with great media streaming software like Plex or XBMC. This has opened the door to an entire new way of watching television by streaming content over the internet. Roku has opened the floodgates and created a demand for free TV. Roku media streamers typically cost under $100 and can be found for as low as $49 depending on features. 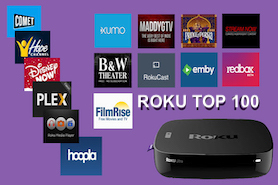 Since a large number of their 1000 plus channels are free and require no ongoing monthly subscription fees, Roku's popularity has continued to soar over the last couple years. EPIX - This channel offers 15 thousand movies from major studios and may already be free to watch through your cable provider. Netflix - One of the earliest movie rental service now offers instant streaming for watching content on Roku. Check out their top 100 most popular and New Instant Releases for the latest movies and television shows available on Netflix. PlayOn Play Later - Collection of great channels. They charge a one-time lifetime fee that is reasonable. They also offer a long list of 3rd party add-ons. Plex - Play Your Media Content on Roku. The main advantage of an HTPC is it's DVR ready to record HD TV from an antenna. Be sure to see our long list of Free Internet TV Channels that provide an unlimited amount of Free TV for your HTPC, iPad or smart phone. Still Have Cable TV or Satellite? 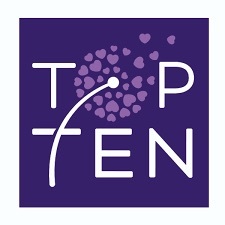 Please click here and we can show you how to save money off your monthly bill. 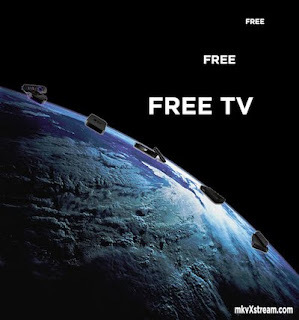 While Free TV has not yet taken the place of "Pay TV", the alternative choices are getting much better, so much so that many people are starting to cut ties to their Satellite or Cable TV providers in favor of lower monthly bills or no bills at all.